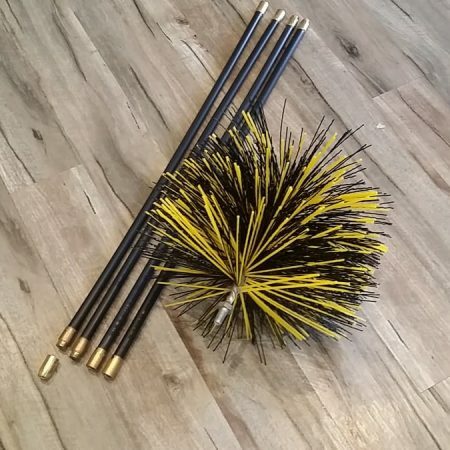 The Flexi Flue Cleaning Brush system by Busy Bee Brushware allows for cleaning your Flue when it has all of those tricky corners and tight bends, all in one kit. 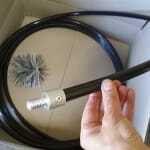 1 x 5/8″ diameter continuous Nylon tube that you feed into the Flue. It is strong, but at the same time flexible. 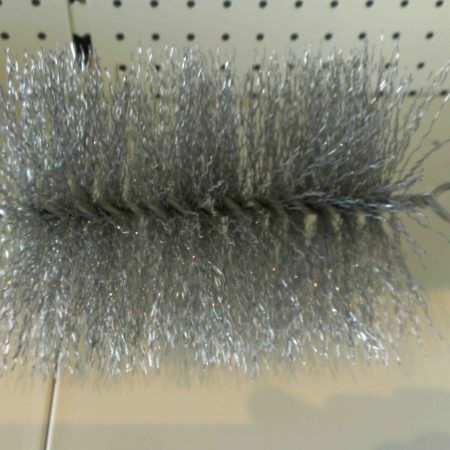 It can be coiled into a box for storage. 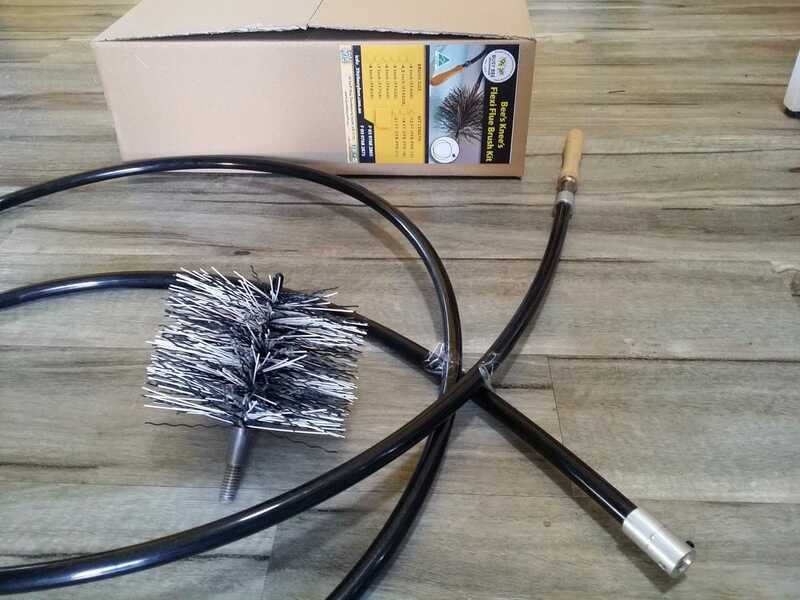 Great for cleaning your Flue, flexible enough to use from the ground up!! Ideal for 45 degree bends. 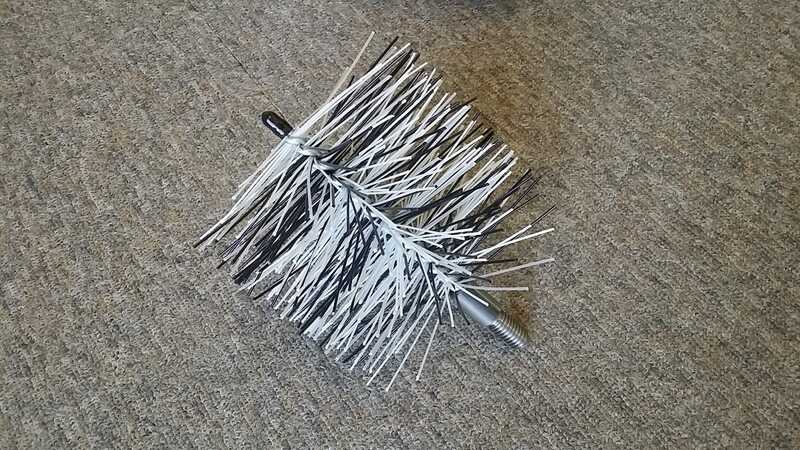 Brush works great. My flue is about 7 metres with a bend, amazingly the handle/extension shaft that can roll up to a 500mm diameter coil, is stiff enough to push all the way to to fire box. No more worry of flue fire. My dealings with Busy Bee have been great. I ordered via phone as I had a number of questions to ask. Andrea was more than helpful and answered questions I didn’t even know needed asking. The product arrived here in Qld very promptly and even included a couple of complimentary items. The product itself is excellent. All highly recommended. I purchased a double story flue kit as we have 12m ceilings and then a large roof cavity. Our flue had not been cleaned for 28 years and we were woken up by the smoke alarm 10 days ago. The kit was fairly easy to put together and clean the flue and now our fire is working and drawing beautifully (just like new). Great to have our own kit as will be doing it more regularly. 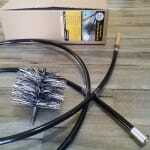 Busy Bee were great to deal with, the flue cleaning kit is very good quality and delivery was very prompt. Thanks very much. Great product, easy to assemble and use. 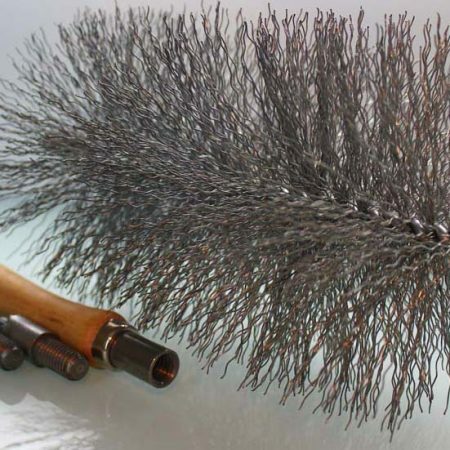 Excellent brush which cleaned a dirty flue very easily. Prompt delivery and friendly staff. Great product and great service! Cleaned my flue without any problems! Thanks for your feedback, it is appreciated. Thanks so much for your feedback, it is great hear how well your Kit worked for you. Great kit. Thought I’d try it out from the bottom up. Worked well and meant that I didn’t have to get on the roof again. The flexible rod works well and allowed me to clean through a couple of 45 degree bends from. I almost look forward to cleaning the flue next time. 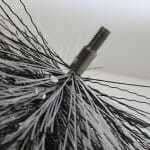 Thanks for your feedback, we are pleased that our Flexi Flue Brush worked well for you. Product works well. We used it from the bottom up so we don’t have to get up on the roof and it was easy to use and flexible. Thank you, Andrea, for your help. Thanks for your feedback, it is much appreciated. We are really pleased that this alleviates you needing to get on the roof!!! After many years of paying someone to clean my flue, I decided it was about time I started doing it myself. 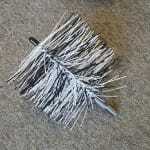 Very happy with the quality and utility of this product, easy to use (I clean the flue from the bottom up). Prompt delivery. Thanks for your feedback, it is much appreciated. 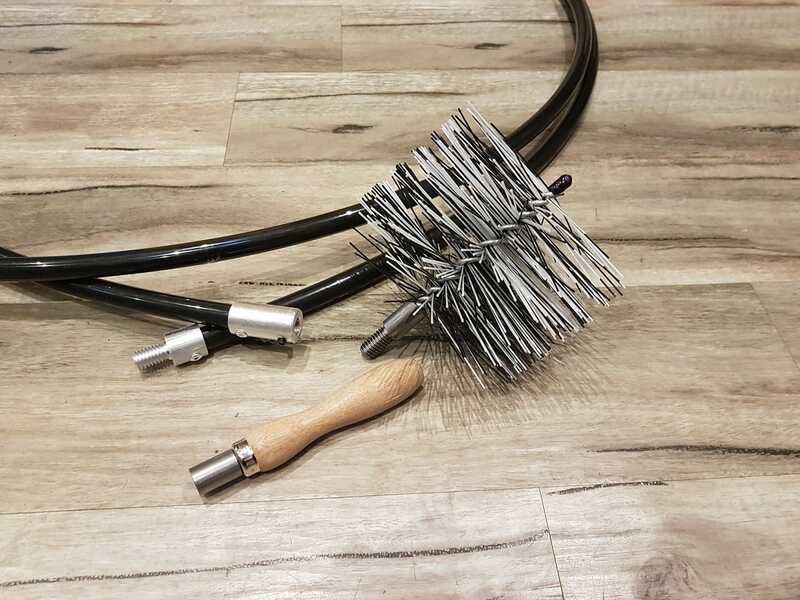 We know we can save you $$$ each time you use your Flexi Flue Brush Kit. Excellent product. Excellent service. Good phone advice to get the right kit, quick delivery. Easy to use flexi tube and a couple of bonus items thrown in. I won’t go on – well done. Thanks for your feedback, it is much appreciated. We really pride ourselves on our quality products and fast customer service. 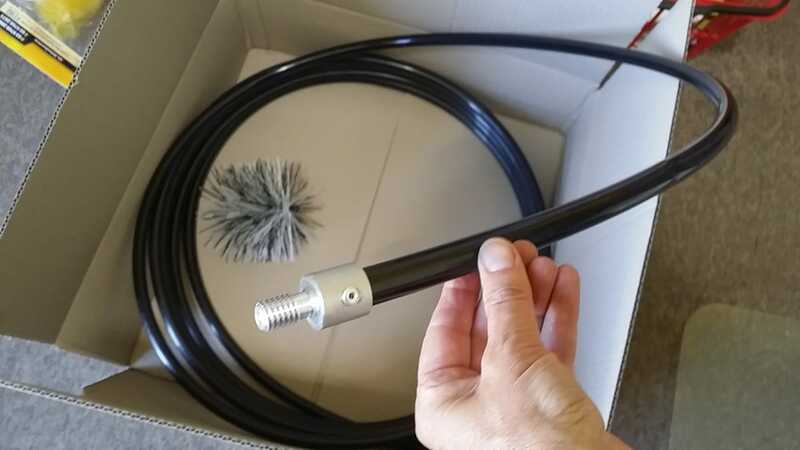 We recently purchased a Flexi Flue kit and found the whole process (including the actual cleaning) so easy. The online purchase was simple, the service delivery as fast as we’ve ever experienced and most importantly, the product is extremely efficient and of a quality that will last for years. Thank you also for the extra items. Thanks Mark, we are proud to manufacture a quality Australian Made product. Appreciate your feedback. 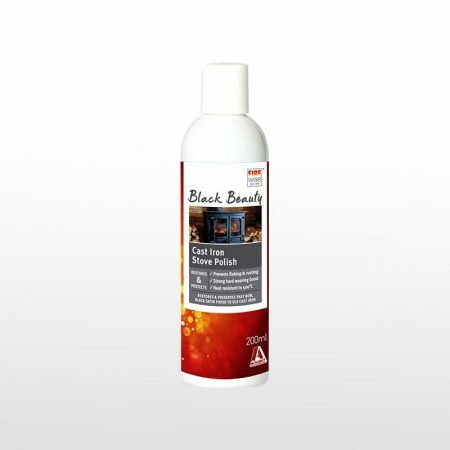 A great product that works well and makes flue cleaning easy. Great service, fast shipping, proud to support and recommend Busy Bee! Thanks for your vote of confidence. It is much appreciated. Thanks for your feedback, it is much appreciated. I opened the box in the morning before work and decided to give it a go as we hadn’t used the fire for a few days. I expected to be running late but I had the chimney swept in less than 15 minutes including tidy up. All safely from inside the house without needing to go on the roof! The fire is drawing much better, clearly needed a clean. Thanks for your feedback, it is much appreciated. We are proud to manufacture a quality Australian Made product. I need to do cleaning from the bottom up. The flue hole is quite a long way back in the woodheater. Will the nylon tube accommodate this kind of bending, to clean from the bottom up? 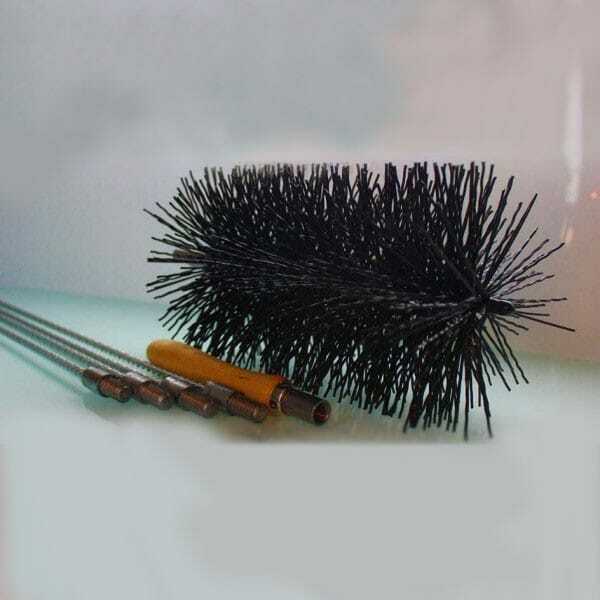 The Flexi Flue brush Kit is designed to clean from the bottom up. 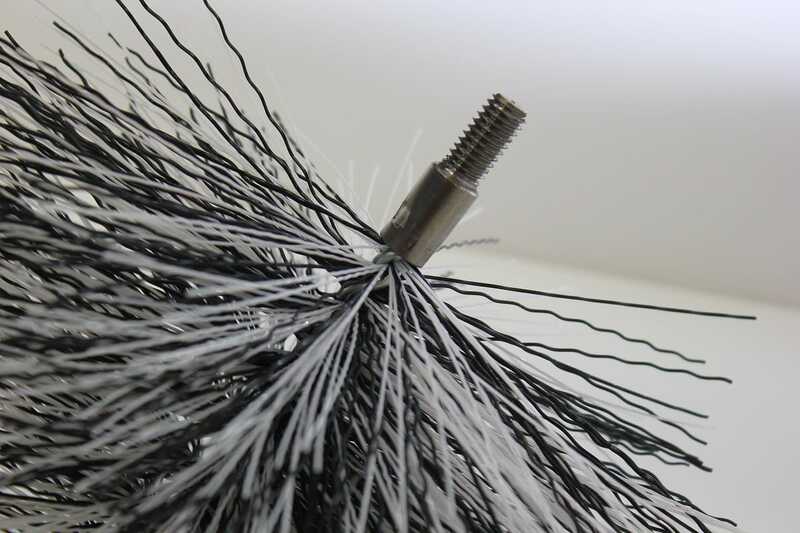 The Nylon rod is strong but flexible and can handle up to 45 degree bends. Perhaps you could estimate what the angle would be for you to thread the rod up into the back of the woodheater ie. What is the width and height to the back of the woodheater? That would give you an idea.